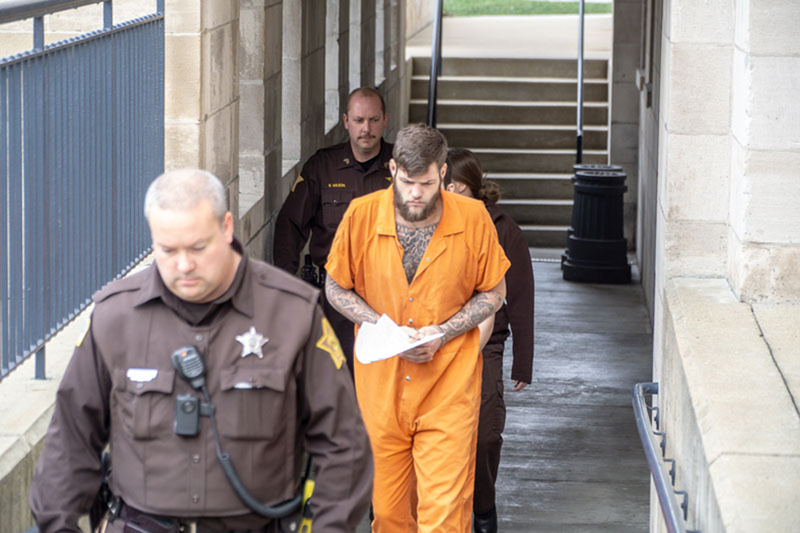 JASPER -- The St. Anthony murder suspect made a first appearance in a Dubois County court Monday. It was a preliminary hearing Monday in Dubois County court for Kyle Schneider. He’s the man accused of killing 23-year-old Chloie Lubbehusen Friday in St. Anthony. During the initial hearing, Schneider requested a public defender. The hearing was then continued for later this week, according to our friends at the Dubois County Free Press. Court documents, released Monday, are shedding more light into what happened in that St. Anthony home. We now know it as a neighbor who called 911 after seeing the victim covered in blood. The first officers on the scene say the victim was found bleeding from her face, apparently from stab wounds. A bloody knife was found inside the home. An autopsy shows Lubbehusen bled to death. When officers located Schneider, documents show he asked them not to shoot; adding he wanted to tell them his side of the story. Investigators say Schneider made several voluntary statements which implicated him in the crime. We still don’t know the motive behind the killing. Schneider will be back in court Wednesday.